If there’s one thing to know about your vehicle’s airbags, it’s this: they’re meant to save lives. Low, medium and high-speed crashes happen all the time. Some account for serious – sometimes fatal – accidents, while others result in minor to moderate injuries across a wide spectrum of drivers throughout the country. And, no matter the severity of an accident, the deployment of an airbag often plays a key role in shaping the outcome of a traffic collision. 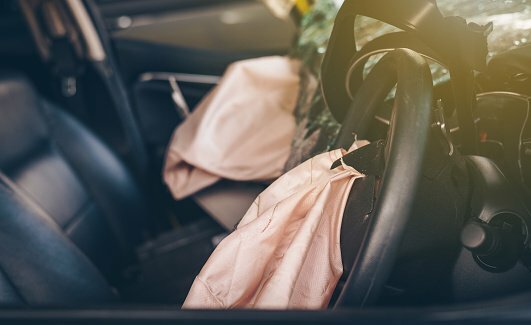 According to the Insurance Institute for Highway Safety, newer vehicles with airbags are reducing driver deaths in frontal crashes by 29 percent, while passenger bags have decreased the fatality count of passengers over age 13 by about 32 percent. Along with proper lap and shoulder seat belts, a fully functional network of airbags is meant to work as a safety system, giving drivers a better chance at survival during a traffic accident. However, the topic of airbags also comes with a fair share of controversy. And certain cases of airbag inflation have done the opposite of keeping drivers safe, sometimes causing severe bodily injury or even death. So, what’s a driver to do? Take a look at the following tips so you’re that much more informed on airbag safety and how it relates to your overall driving experience. Between 1987 and 2008, frontal air bags saved 25,782 lives as supplemental safety devices. Remember, wearing your seat belt every time you’re behind the wheel plays a major role in your overall safety during an accident. But your position to the airbag is something to factor in also. During airbag deployment, serious head injuries/trauma happen when people are not sitting in the correct position while in the driver’s seat, or fail to use their seat belt properly – if at all. To minimize your risk and maintain the benefits of having an airbag, position yourself as far back from the center of the steering wheel as possible while still driving comfortably and staying in control of how you operate the pedals. And, adjust your steering wheel if you have to. The National Highway Traffic Safety Administration takes this one step further, recommending you keep a 10-inch minimum space between the center of the steering wheel for drivers and the dashboard for the right front passenger. With that in mind, it’s best if the airbag deflates toward the broad expanse of your chest rather than the small area of your face. This protects the core of your body while still cushioning your head, minimizing your risk of serious injury. Most frontal airbags are designed to protect adult drivers and passengers. But when it comes to kids, they’re dangerous – even deadly – when they are inflating. 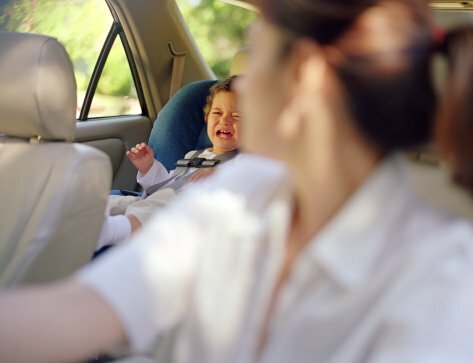 So, if you’re driving with a child under 13 years old in tow, whether they’re in a rear or front-facing restraint like a car seat, make sure they’re properly seated and correctly restrained in the back of your vehicle. For kids who’ve outgrown their car seat, seating them in the center back seat is always best. Of note, studies have shown that frontal impact crashes represent 59 percent of passenger vehicle “tow-away” crashes and result in 38 percent of passenger-vehicle occupant fatalities. So, children are less likely to die in a traffic accident if they’re seated in back because that area of the vehicle is safer. If you don’t have a back seat or find you must seat your child as a right front passenger, having an on/off switch for the passenger airbag is really important. So use it and turn that airbag off. There are very few cases where the federal government allows you to turn off the driver’s side airbag if you have one in your vehicle. For example, if you’re shorter and have trouble sitting comfortably away from the steering wheel, or you’re a woman who’s late in pregnancy and cannot keep space between her abdomen and the steering wheel, you may be granted permission to turn your airbag off. Check your driver’s manual for more information. Airbags certainly do more good than harm. It’s just a matter of being mindful of how you use them and what you can do to minimize your risk of injury when they deploy during an accident. The more informed you are about airbags, the safer you’ll be down the road on your long journey as a seasoned driver!